The design of this product follows the standard. However, there is only one color is available which is black. The shape of this box is square. Here, every part that means top, bottom, front surfaces are nicely finished. The aesthetics of the Remote is also wonderful. It is not only a powerful device but also users can use it conveniently. It is very light, weighing just 0.3KG. The Q96 Plus Smart TV BOX is embedded with a Rockship RK3328 CPU. By this, we can get a better performance of the CPU. It also makes a better visual performance. It also features a Penta-core Mali-450 GPU video accelerator, which supports playback of almost all known media formats including H.264, H.265, VP9 decoding, and HDR10. 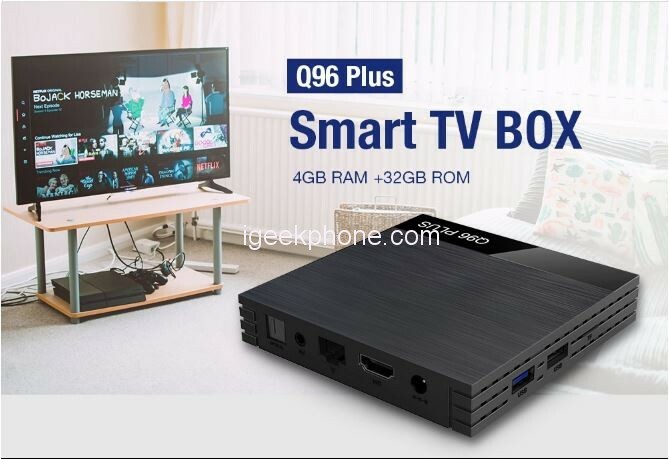 The Q96 Plus Smart TV BOX also packs the optimal amount of operational and built-in memory – 4GB RAM + 32GB eMMC, which according to many experts is the most successful combination for the TV boxes from this price range. 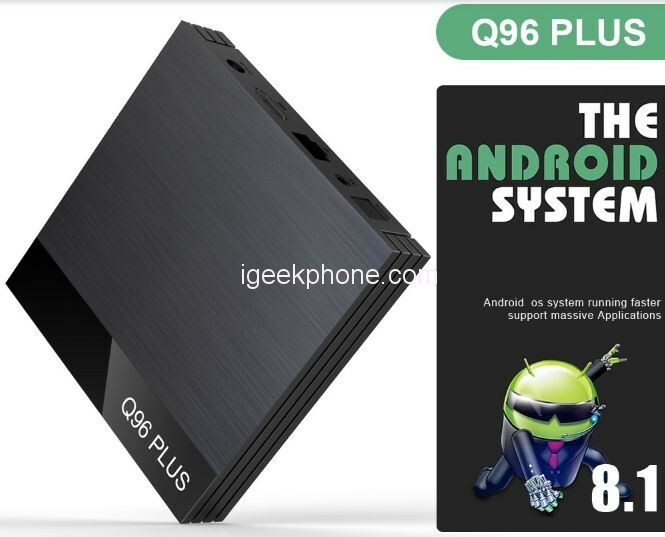 The operating system of Q96 Plus Smart TV BOX is android 8.1. In this method, we can change the theme dark and light easily. Another is it includes most of the icon in the home menu and also we can easily notice the remaining of the charge of the battery. By activating ultra-power saving mode we can save our battery and also in the night time we can activate the night light option. Its operating system is also more standard than the previous version. 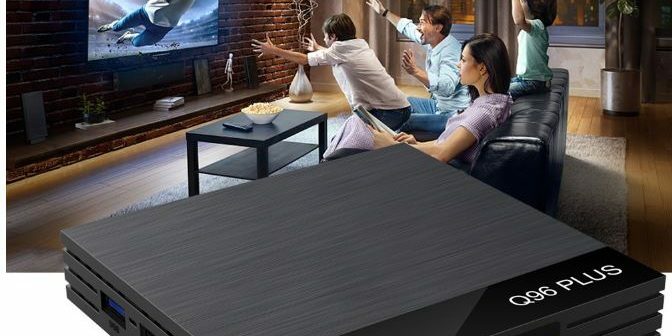 Q96 Plus Smart TV BOX also supports 3D videos and 3D games. 3D videos are one of the most entertaining things at this time. For watching 3D movies we go to the cinema but if we get that opportunity we can watch that kind of videos more frequently. As we are fond of natural things, so in the time when we play games like FIFA, Commando or other high-resolution games if that can be played in 3D that will be more enjoyable. While we are watching a movie, a series or some other video in some Player, we tend to turn subtitles on. Subtitles help us greatly to understand some part of the story or even an entire movie if it is in some language that we do not understand. Q96 Plus Smart TV BOX allows us to open up external subtitles and use it for our current video. 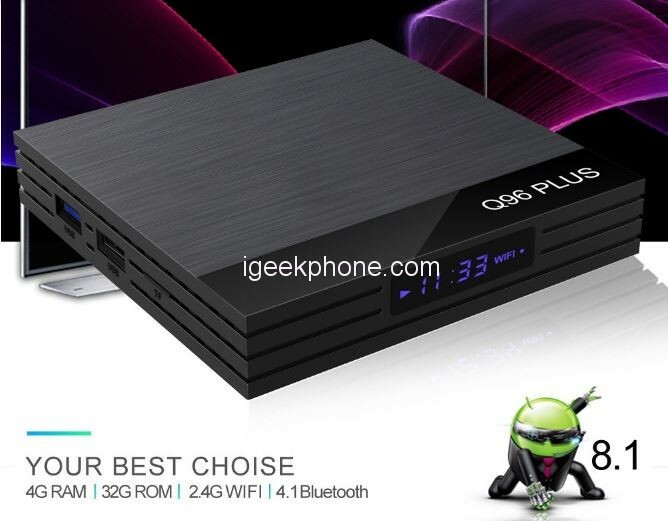 Q96 Plus Smart TV BOX supports Bluetooth. That means we can easily exchange files through it. Another point is by it we can exchange our files about a long range without affecting the charge of the battery. 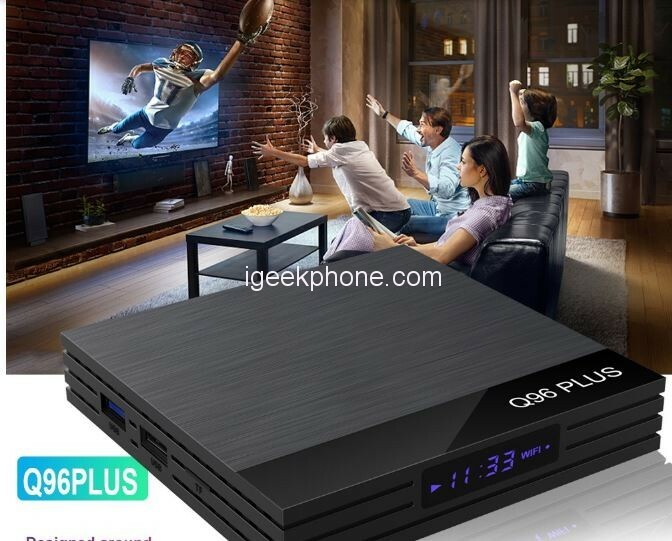 Q96 Plus Smart TV BOX uses 2.4 GHz Wi-Fi. Its frequency can support up to 1Gbps of output.